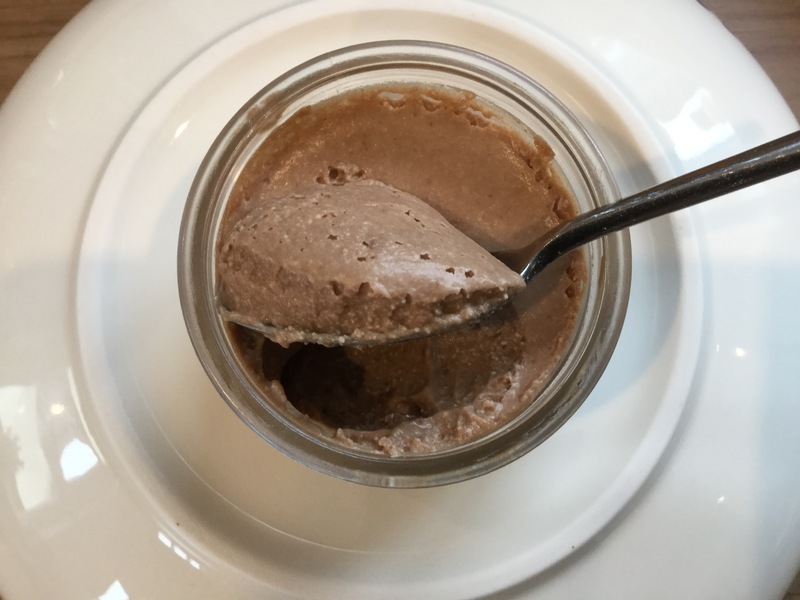 This was such an easy thing to make its barely a recipe, but it came out so nicely, it’s really tasty and just does melt away to nothing but a happy feeling in the mouth! Break up the chocolate into a glass bowl and add the agave syrup, melt the chocolate, either by placing the bowl over a pan of boiling water or by short blasts in the microwave. 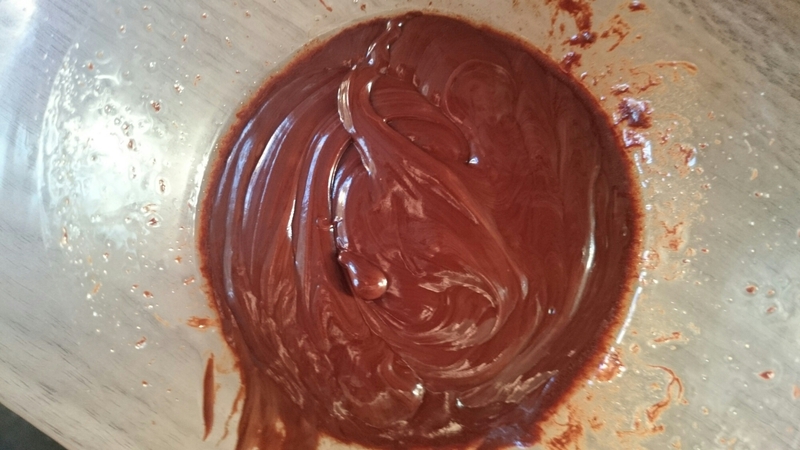 The agave syrup will help keep the chocolate a bit more pliable, and would make a great topping where you don’t want the chocolate to completely set. 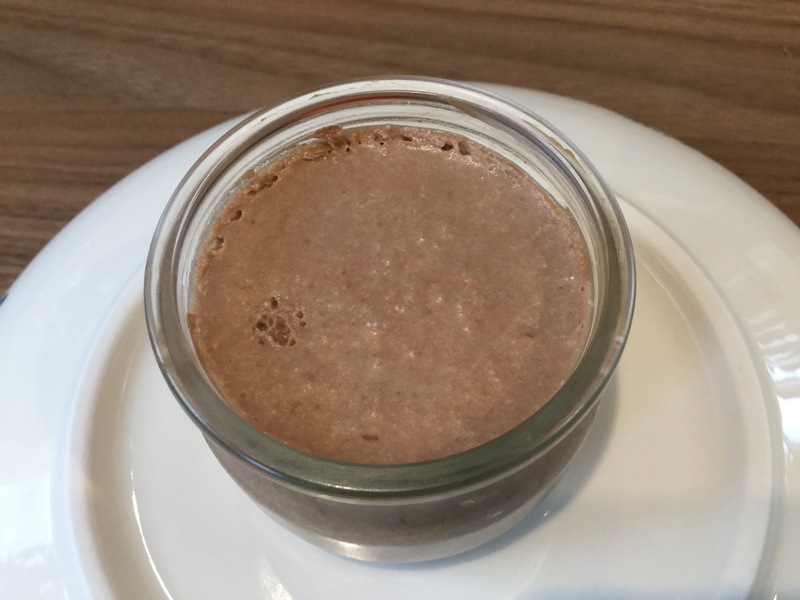 Empty the tin of coconut milk into a mixing bowl and whisk so that the solids and liquids combine and are smooth, the while still whisking pour in the chocolate mix a little at a time whisking thoroughly until it is all incorporated. The mixture will be very liquid at this stage, don’t worry, pour into dishes and refrigerate for a few hours or overnight and it’ll firm up into a light lovely desert. WOAH this looks and sounds SO DARN GOOD. 😍😍😍 it looks so quick and easy to make…why NOT make it! Thanks for the recipe!